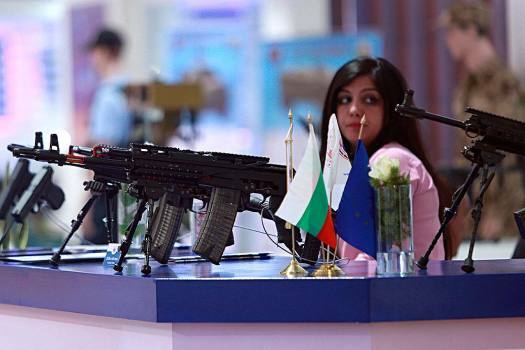 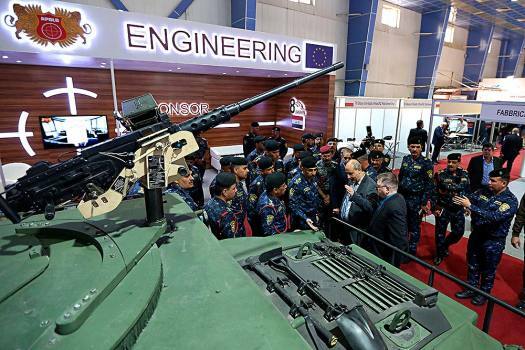 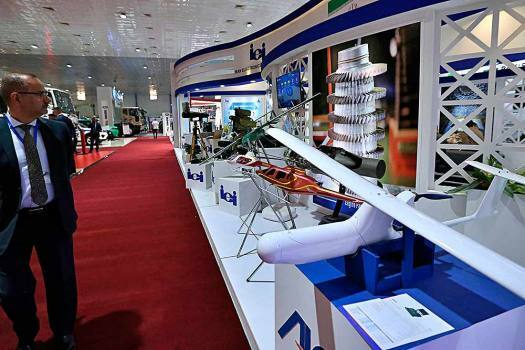 Weapons are on display at the 8th annual weapons exhibition organized by the Iraqi ministry of defense at the Baghdad International Fairgrounds, Baghdad, Iraq. 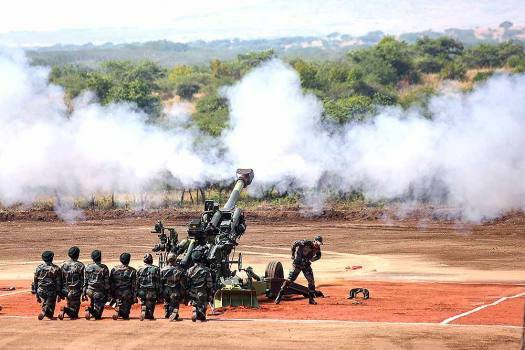 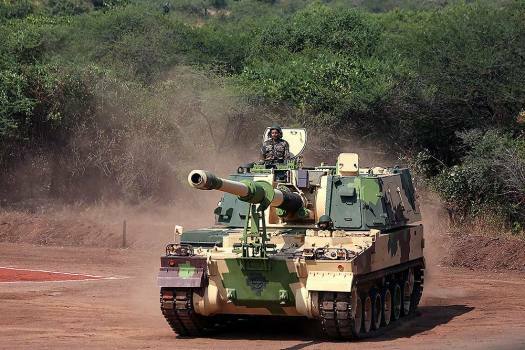 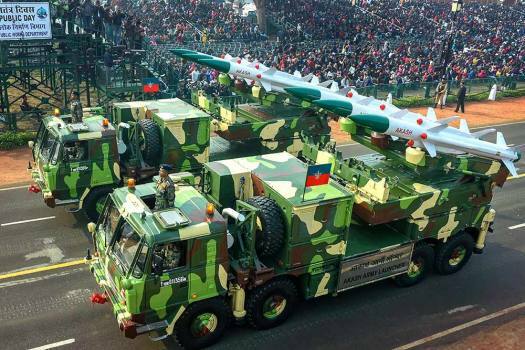 Indian Army's Akash Missile System on display during the full dress rehearsal for the 70th Republic Day Parade, at Rajpath in New Delhi. 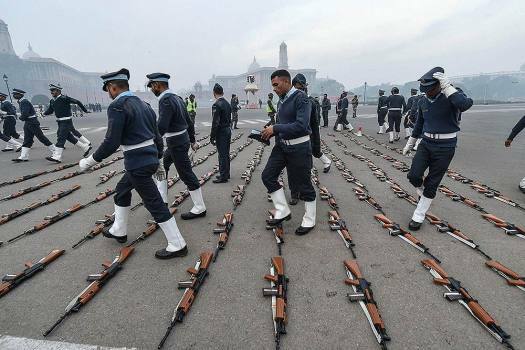 Guns are placed, foreground, as Airforce soldiers take a break during the rehearsal for the upcoming Republic Day parade 2019 on a cold morning, at Rajpath in New Delhi. 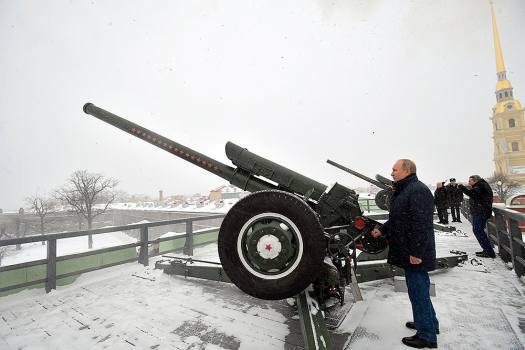 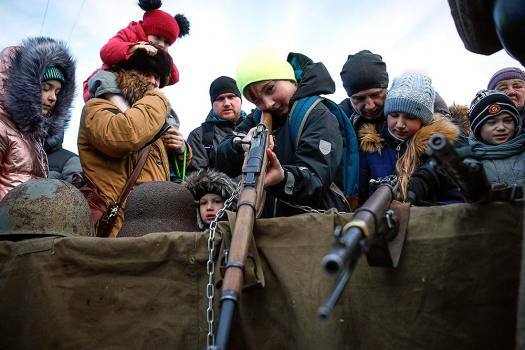 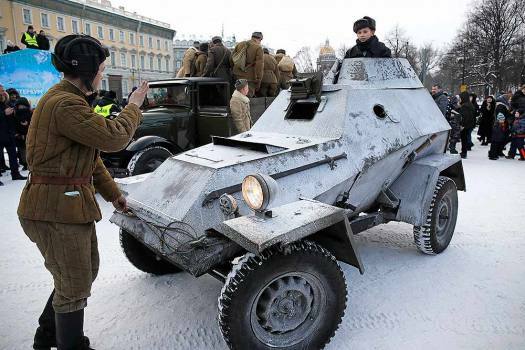 Russian President Vladimir Putin shoots a fortress cannon, during a traditional midday cannon shot at the Peter and Paul Fortress in St. Petersburg, Russia. 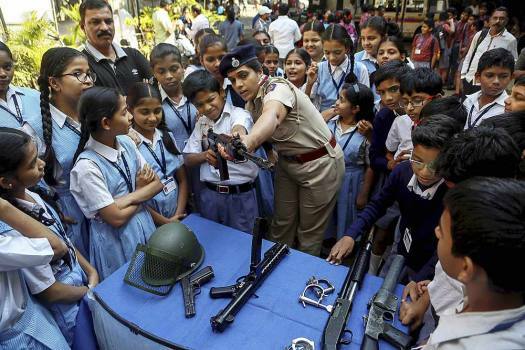 School children have a look of the weapons at a police station on the occasion of Police Raising Day, in Thane. 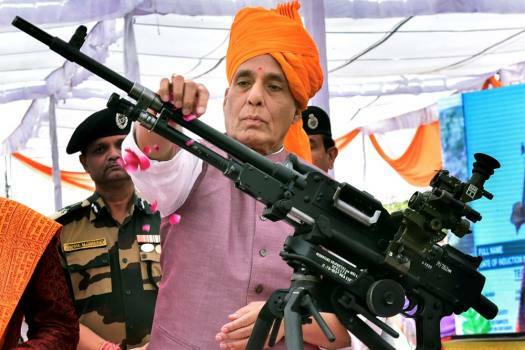 Union Home Minister Rajnath Singh performs 'Shastra Puja' at a BSF camp in Bikaner, Rajasthan. 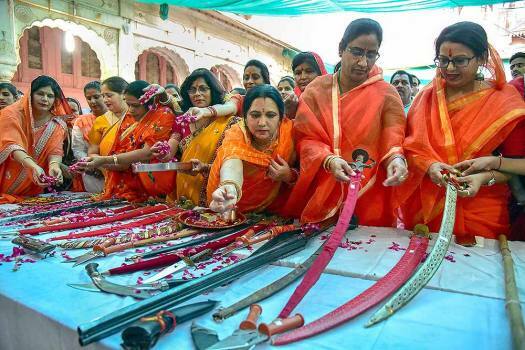 Vishwa Hindu Parishad's Durga Vahini members perform Shastra Puja (worship of the weapons) ahead of Vijaya Dashmi, in Bikaner. 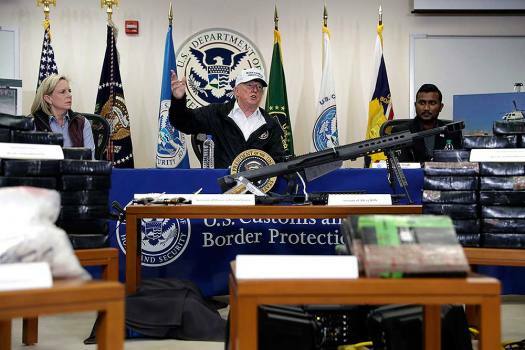 "Six days after this attack, we are announcing a ban on all military style semi-automatics (MSSA) and assault rifles in New Zealand," Prime Minister Jacinda Ardern said. 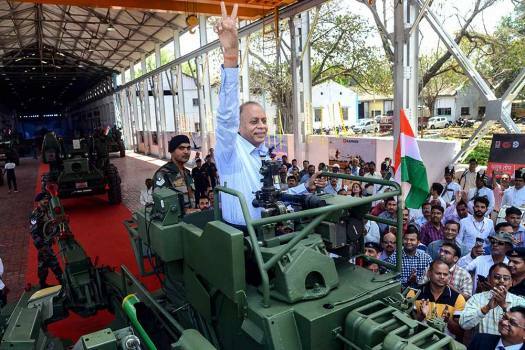 In his first visit to the Congress stronghold after becoming the Prime Minister of the country, Modi announced a slew projects while also lauding Smriti Irani for her work in the constituency. 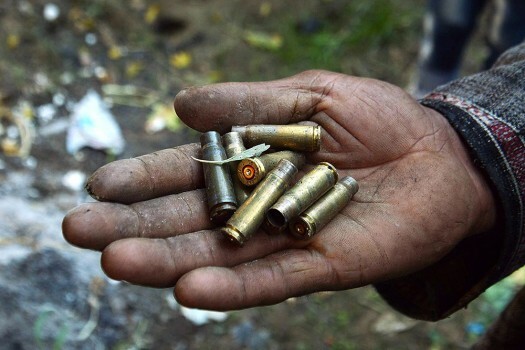 The incident took place in the absence of the PDP legislator who has been staying in the winter capital of Jammu for the past 12 days. 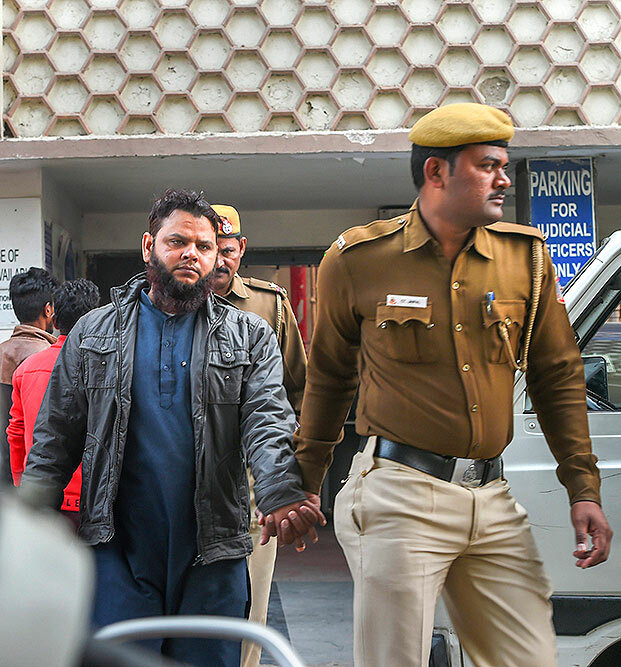 Police have announced a reward of Rs 2 lakh on information leading to his arrest. 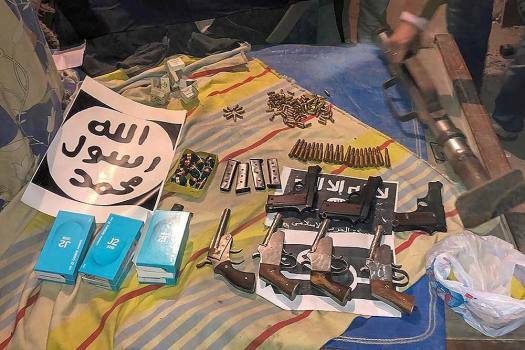 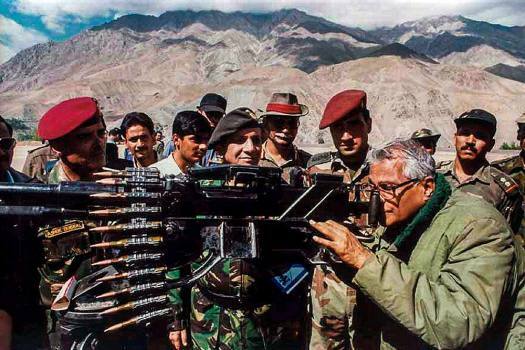 Apart from an AK-56 assault rifle, three magazines, a 9 mm pistol and 13 live cartridges were seized from Khan's house.